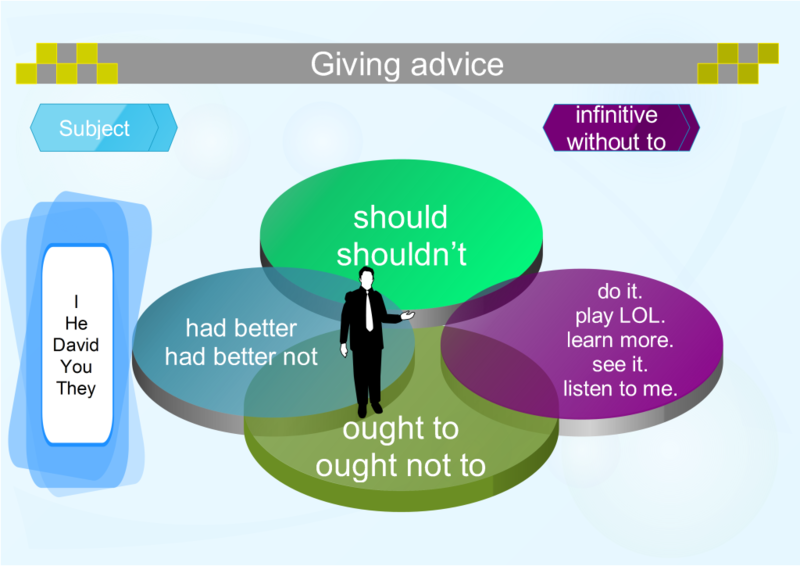 Recently I have published a post on giving advice. And our post on modal verbs won the British Council blog award. This post will deal with three ways to express the modal verb SHOULD. The different means are HAD BETTER and OUGHT TO. Both of these have the same meaning as SHOULD. This grammar point often appears in FCE tests. So if you are planning to take an international certificate in English this post is really important for you. Here are three ways of expressing the same meaning. Once you learn the three forms correctly you should have no problem with using them. However, remember that SHOULD is much more frequent than either OUGHT TO or HAD BETTER. The first game is called Hoop Shoot. Your task is to choose the correct form and then score a basket. You can choose the difficulty too. Enjoy.